Her novel titled “Good Morning After Supper” narrates an emotionally-charged story representing her experiences from childhood to her life in a foreign land, and when she moved to the United States. Through her story, she wishes to impart wisdom in life as well as lessons of love, pain, acceptance, and understanding. Most of all, she hopes that readers will enjoy reading as they discover the adventures that come along her way. Describing her first published novel, well-known local artist and author Tatyana Dickinson recounts her personal experiences to create a tale that talks about brokenness, blackmail, and redemption Not only that, the author’s tale hopes impart wisdom and lessons of love and understanding among her readers everywhere. 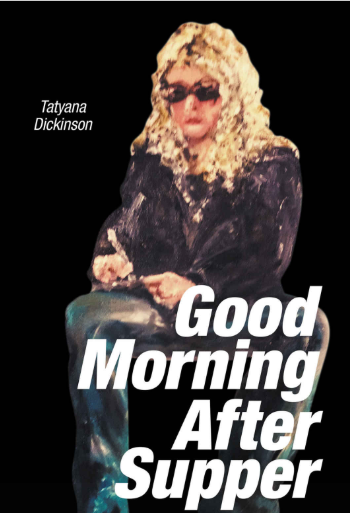 In its core, “Good Morning After Supper” tells a story that opens up a window that gives readers a look into the author’s experiences in the Soviet Union and the depiction of the culture of a foreign land. As readers discover how the story progresses at every turn of the page, Dickinson also provides them a glimpse of the most fateful, profound, and even painful experiences that helped shaped her to become the woman that she is today. Dickinson’s “Good Morning After Supper” will soon take part in the upcoming Los Angeles Times Festival of Books. Happening on April 13-14, 2019, her debut novel will be displayed alongside many other great book titles from a wide selection of genre types. Being one of the biggest literary gatherings in the country, this truly is a great opportunity for her to reach out to a wider audience as well as touch more hearts and minds.